Ashley is an avid sports enthusiast and is an athlete for life. It's no surprise she has remained in the sports industry for over 17 years. 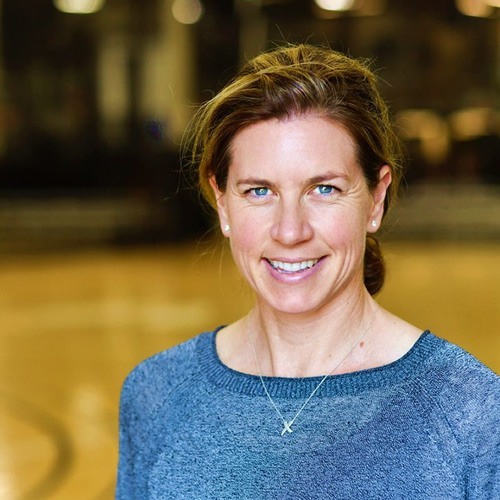 Her experience has ranged from Collegiate Volleyball Coach and Youth Development and Program Director to most recently General Manager and her current role as Director of Corporate Development at Sports Academy in Ventura County. We had a chance to catch up with her and talk about the wide-ranging offerings at Sports Academy and how they're impacting lives from small kids and families, local school sports teams all the way to professional athletes. Ashley explained how the founder of Sports Academy, Chad Faulkner, has an enlightened view of the definition of sports. It includes eSports - they have a cool room dedicated to it, a close-quarters defense course for first responders and even competitions for entrepreneurs. Ashley is an inspirational leader to be sure, and we're sure she and the team at Sports Academy make a difference in the lives of the athletes that train there. She explained their ALPHA motto - A = Athletes, L = Learning, P = Positive, H = healthy and A = Attitude. Love it. They recently hosted a Startup Weekend at their 96,000 square foot facility. Thanks to Mike Panesis, a friend of the pod, and past guest from California Lutheran University for the introduction.